In an industry that not only interacts with the general public but also supplies it 24/7 365 days a year we need the ability to assure the quality of our service and deliver projects on time for our Clients. 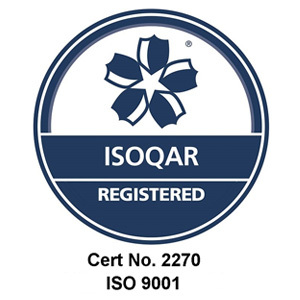 That is why we have an integrated approach to Safety, Health, Environment and Quality which has been developed to comply with the internationally recognised standards, ISO 9001, ISO 14001 and OHSAS 18001. We believe that this not only demonstrates our commitment, but also facilitates our need to drive our business goals and ensure that we remain focused on continuous improvement at all levels and at all stages of our operations. All of our works are carried out under the Construction Design and Management Regulations 2015 (CDM) and as a Lloyds Register accredited provider we can offer a truly multi-utility solution. We operate in some of the most safety demanding environments including the Nuclear Industry and recognise that not all risks can be eliminated or engineered out of the work environment. Even with the best plans and procedures, ultimately we need to rely on the strong leadership of our managers and the behaviours of our workforce to reduce human error. It is with this in mind that we invest significantly in the training of our employees and ensure competence and hazard perception are a binding strategy to ensure our employees not only take care of their our own safety but develop a culture whereby everyone looks out for the safety of one another. To ensure that we deliver our moral as well as legal obligations, O’Connor Utilities Limited aims to work collaboratively with our Clients and partners to source materials responsibly. We also identify innovative solutions that reduce carbon emissions so that our work meets the needs of the present without compromising the ability of future generations to meet their own needs.